The hardest part of owning this pet is finding a tank big enough to hold it! Meet the Plesiosaur, a gigantic marine reptile from the Mesozoic period. With its long neck and enormous flippers, it looks a lot like its cryptid cousin, the Loch Ness monster. But unlike Nessie, scientists know lots of cool information about the Plesiosaur. 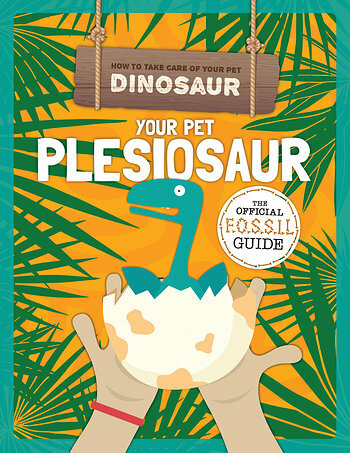 Readers of this comical book will learn all about this fascinating prehistoric creature. Charming illustrations and fun fact boxes make this book an adventure.